Nestled in a peaceful hamlet and surrounded by magnificent South Devon countryside, is Higher Barn Studio. 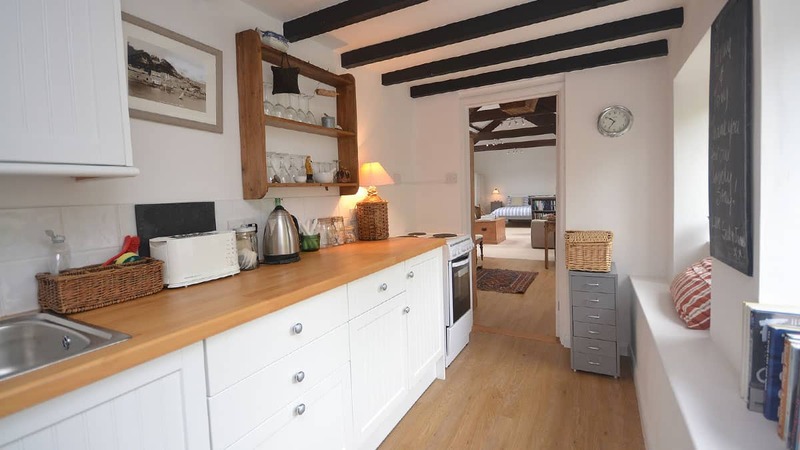 This stylish studio conversion is perfect for a romantic break and is only a handful of miles from the pretty seaside town of Salcombe with its crystal blue waters and secluded sandy beaches. With its exposed wooden beams and open plan rooms, Higher Barn by day is blushed by natural sun­­light through its roof windows. Deluxe sofas and a swish galley kitchen add comfort and charm to this intimate retreat, where guests can enjoy their own private patio together with its stunning views of the rolling hills and wooded valleys. Higher Barn is equipped with all the mod cons and has a king size bed, perfect for those cosy lie-ins and lazy breakfasts. Here, you’ll be surrounded by stunning countryside walks, plus you’ll only be a short trip away from some of the region’s most celebrated beaches; the golden sands of Bantham, Thurlestone, and East Portlemouth. 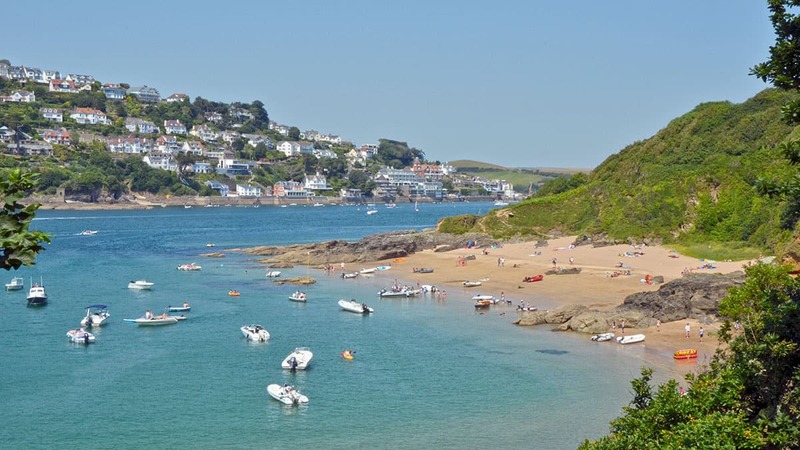 Nearby is Salcombe; a pretty seaside town and one of the most popular coastal resorts in South Devon. Steeped in maritime history, the town still retains a small fishing fleet, however, most of the harbour traffic during the thriving summer season is recreational. Salcombe plays host to some of our most spectacular holiday cottages, and all with breathtaking ocean views. 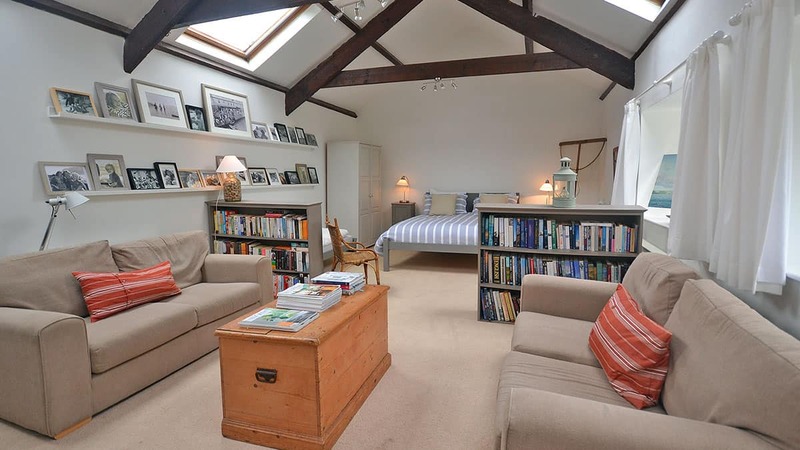 You’ll also be close to Kingsbridge; a historic South Hams market town and thriving waterside community with its busy high street, popular markets, and a pretty promenade. With wonderful views of the tidal estuary, Kingsbridge also offers the added convenience of local shops, pubs, and restaurants. Both these gorgeous harbour towns have lively summer schedules, with annual food and music festivals, regattas, and carnivals, ideal if you’re in the mood for a livelier excursion.